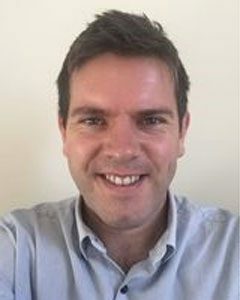 Dr Richard Williams obtained his PhD via the Physical Sciences of Imaging in the Biomedical Sciences (PSIBS) Doctoral Training Centre at the University of Birmingham in 2014, with his research based the School of Chemical Engineering. His research was focused on the chemical modification of calcium phosphate-based bone graft / filler materials to enable biomolecule engraftment and formulation of pliable ceramic-polymer composite bone graft materials. Richard then stayed on as a Research Fellow developing chemical mapping methods to study changes in biomaterial chemistry under physiological conditions and pathological mineral formation. Richard has since worked heavily in the process of translating regenerative technologies into finished products fit for clinical trial and commercialisation. He is working on two major projects to develop anti-scarring wound care products for the skin and cornea and take them through Phase I clinical trial. His role involves the development and commissioning of Good Manufacturing Practices – compliant processes for both products; preparation of regulatory reports; project planning from lab to clinical trial; and managing supply chains. Richard’s core expertise available to Life Science SMEs is the development, GMP scaled up manufacture, and regulation of biomaterials in both medical device and medicinal product contexts.